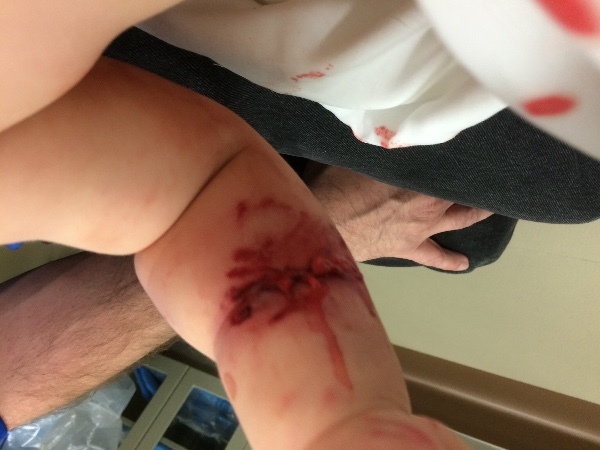 Dogs Bite Decatur Al: CALDWILL ID - AN UNNAMED BREED OF DOG BROKE A WOOD FENCE BOARD AND CHOMPED DOWN ON A TODDLER WHO WAS PLAYING IN HIS OWN YARD - THE MONSTER ATTEMPTED TO PULL THE CHILD INTO ITS YARD!!! CALDWILL ID - AN UNNAMED BREED OF DOG BROKE A WOOD FENCE BOARD AND CHOMPED DOWN ON A TODDLER WHO WAS PLAYING IN HIS OWN YARD - THE MONSTER ATTEMPTED TO PULL THE CHILD INTO ITS YARD!!! 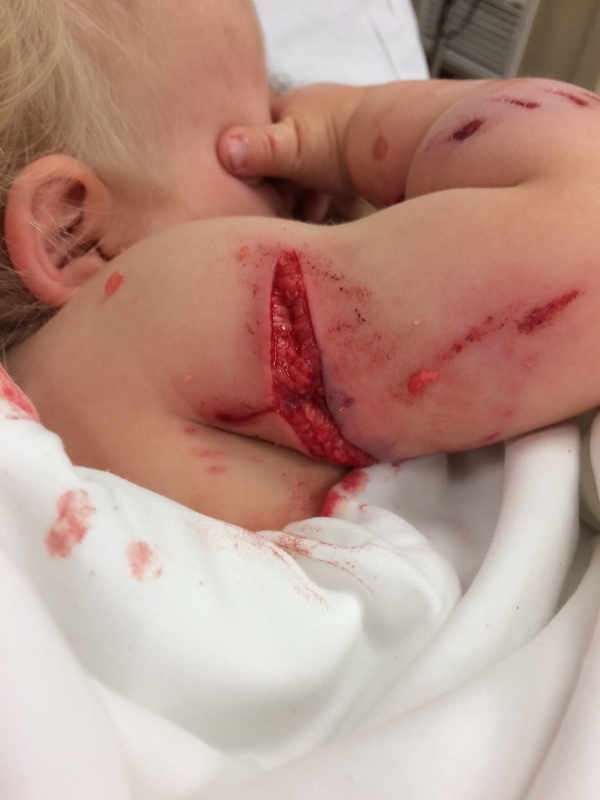 "Riley is a 19 month old little boy, and on Wednesday April 27th 2016 at 9:29 AM he was mauled by the neighbors dog while in the safety of his own back yard, after it managed to knock down a 6 foot wooden privacy fence slat, and grab him by his right arm with its teeth. Rileys attack was completely unprovoked and minutes before he was playing on the swing set, swinging back and forth on his belly. Riley's right arm was ripped open in several spots by the dogs teeth, as it attempted to drag him thru the gap in the fence by his arm into its own yard to do what we believe would have ended up being a fatal mauling. Thankfully our hero dog Nala was right by his side in seconds and managed to force the attacking dog to let go. This gave me (his mother) just enough time to scoop him up and run to safety while at the same time dialing 911, desperately." Have we had enough yet? CAN WE MAKE THIS STOP YET! ?